"Eyebrows shouldn't stand out, they should simply do their job".
" Lashes and brows are the perfect marriage". 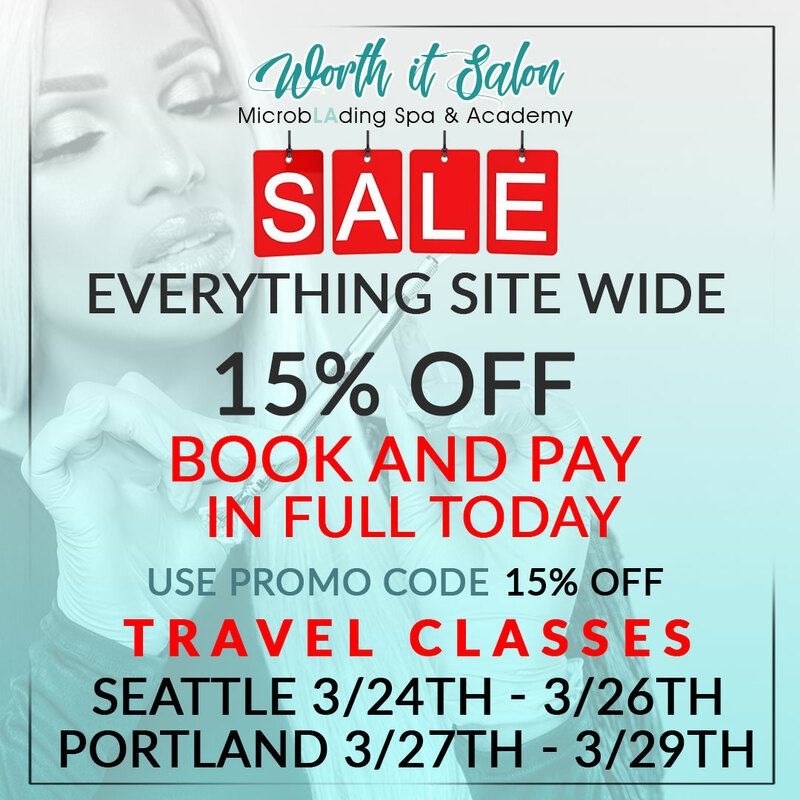 "Investing into the maintenance of your beauty is more than Worth It"
Once your appointment is set, you will receive an email and text confirmation. You will also get a reminder email and text 24 hours before your appointment. 2. What can we expect? Microblading is a form of tattooing, unlike a traditional tattoo where a machine is used, we use a hand tool that has a microblade attached to the tip. A Microblade is made up of several micro-needles in various sizes and shapes. We use this Microblade to deposit pigment into the upper dermis of your skin to simulate individual eyebrow hair strands by applying a Feather Stroke technique. The results are natural, gorgeous, and last up to two years. 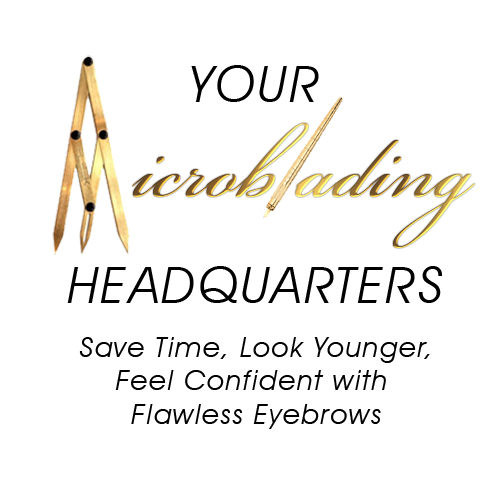 When you arrive to your Microblading appointment, we’ll first offer you a variety refreshments as we welcome you into our state of the art luxury salon. The Xen environment is designed to transform you out of the hustle and bustle of LA and into a relaxing trans-formative state of mind. We’ll discuss your brows and you will fill out a medical history and consent form. 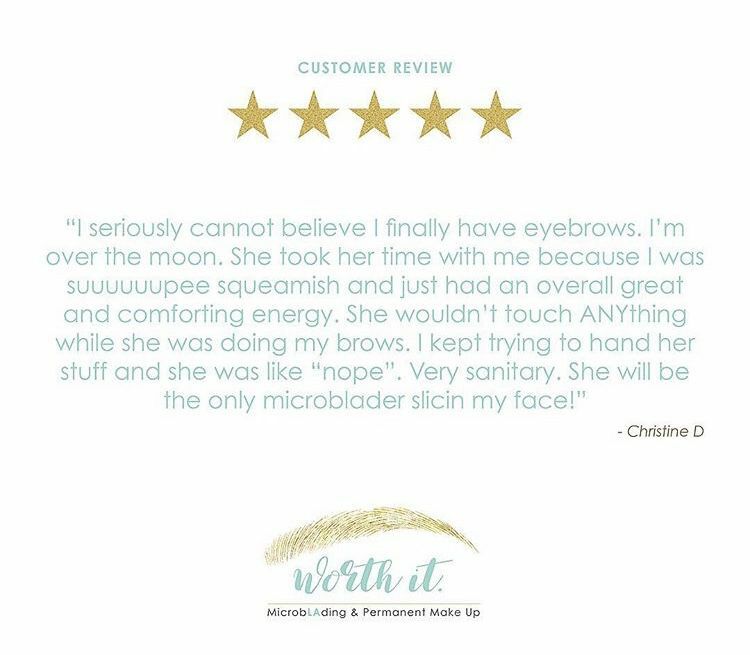 We’ll take before pictures then we’ll begin “browmapping” you to achieve the most beautiful brow for your face by using mathematical-geometric methods known as the renowned golden ratio. We only offer our clients the best so when it comes to our equipment and tools, no expense is spared. We use high performance tools like MAD LUVV Microblades and top of the line shaping pencils. Once your procedure is finished. We’ll film your big reveal, give you your aftercare kit and instructions then schedule your first touch up 6 weeks later. Microblading requires breaking the top layer of your epidermis in order to deposit our vegan, cruelty free, made in the USA pigment into the upper dermal layer of your skin to simulate a single eyebrow hair strand. We use two different numbing agents before and during your procedure to minimize the discomfort. Microblading can last up to two years depending on your skin type and lifestyle. If you’re prone to more oily skin then more frequent touch ups are suggested to keep your microblading looking complete. For Your $800 Microblading Procedure. The first touch up performed 4 – 6 weeks after initial microblading procedure. This touch up is crucial as it is the perfecting touch up. • VIP treatment all the way we offer wines, champagne, cold pressed juice or bottled water, and KIND Bars. We also have a plethora of wonderful restaurants you can grab a bite to eat during your numbing time. • We supply you with a Luxe aftercare kit consisting of Tina Davies antibacterial serum, BrowsEyes&Lips pigment sealer, Cetaphyl, q-tips, spooly, eyebrow razor, and aftercare instructions card in a reusable bag. The 2nd touch up performed 8 months to a year after your first touch up, the cost is $300 we like to call a loyalty price. An aftercare kit is given and the same VIP treatment because we value our clients and that’s just how we roll.